On the last 5th of August at 7:49pm a big earthquake happened in the mount Rinjani area, in North Lombok (Indonesia). Is difficult to describe what we felt in that moment, when the land shacked strongly and the power went off leaving us in the darkness. The few next hours, the island went into fear in a dark night full of aftershocks and tsunami alarms which were (luckily) false alarms. 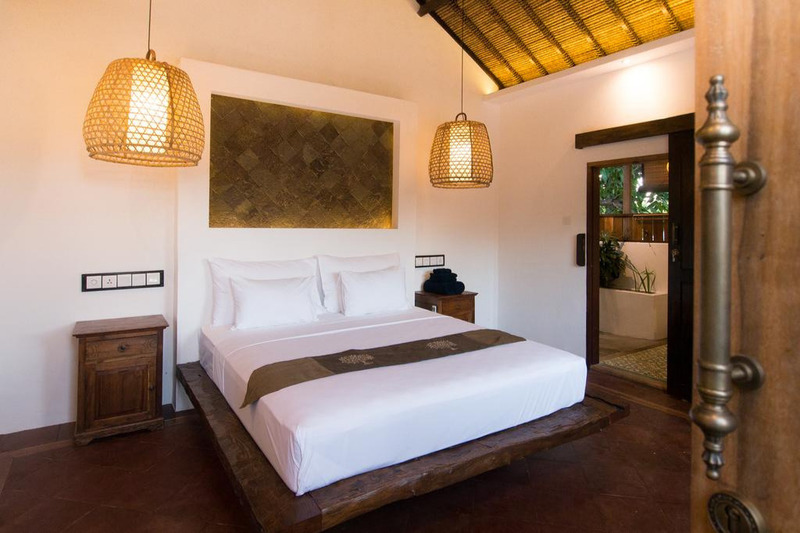 My first thinking after the strong movements finished, were my guests at my small boutique hotel The Mandana. We all were lucky and nothing happened to the staff and guests. They were having dinner out of their rooms. After few hours of look for them, we could locate in a open area near the harbor. We decided then, to move together near the mosque land inside to wait till the first lights in the morning to go to the hotel and take their belongings. I could rescue some blankets and lanterns to make them more comfortable. In the morning, we could check the conditions of the hotel. I remember I only could repeat myself "this is not happening". After rescue the guest’s belongings the staff help them go to the harbor and evacuate the island. My staff in tears, helped them in what they could do. I’m proud of their job theses days. I stayed at the hotel observing them going meanwhile I was not even able to look at my dream destroyed. That dream, my small hotel I always planned to have, was almost finished after work hard during 3 years. And now, it was destroyed. 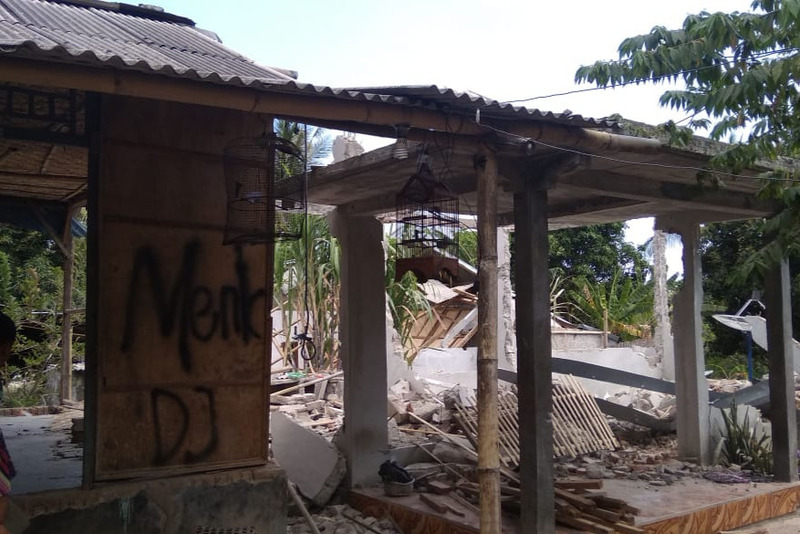 Also the house of Sira, one of my workers was totally destroyed in Lombok. He lost everything he had. But also the most painful is to know that my loyal worker Sira is in even worse situation. He lost his house where lives with his 2 year old child and his relatives. After 2 months of the big earthquakes (two 7.0 magnitude and more than 500 aftershoks), we start to see all with bigger perspective and try to have positive thinking. Is hard for everybody, and not always can be as possitive as I should be. The hotel is closed with no guests and pending to find funds and workers to rebuild. But rainny seasson is comming soon and time is finishing. 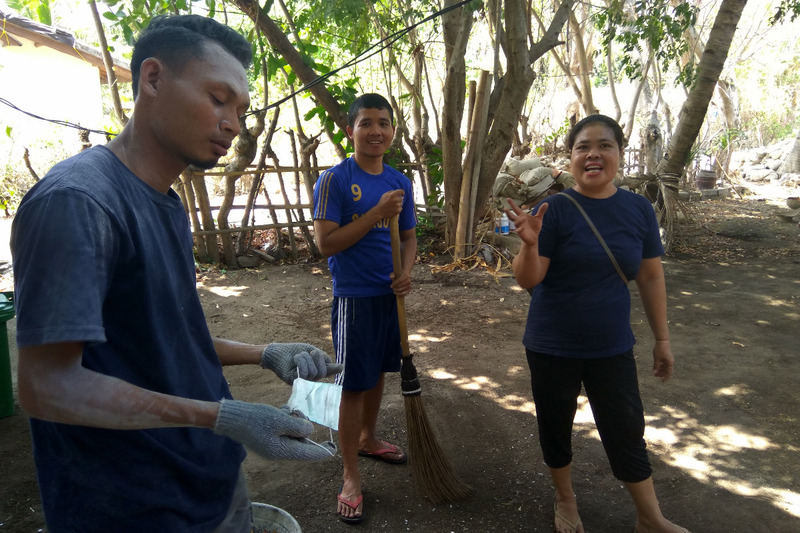 Sira lives with his family in a provisional tend with plastics and some reused materials of his original house. 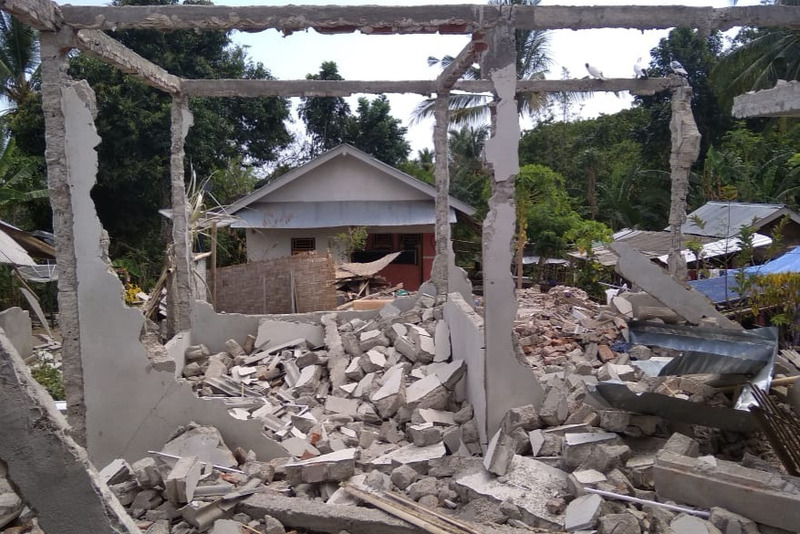 They need to build another provisonal house soon before big rains arrive to north Lombok. 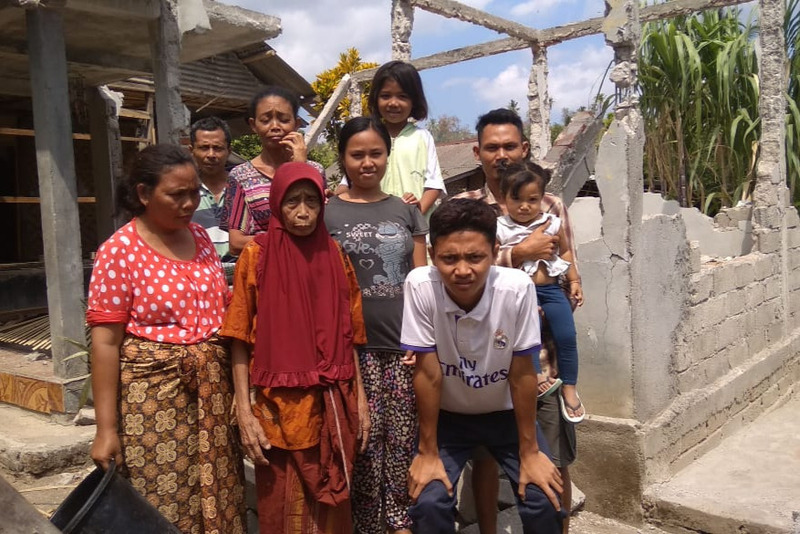 It's my purpose to help Sira's family to build a proper house in time. 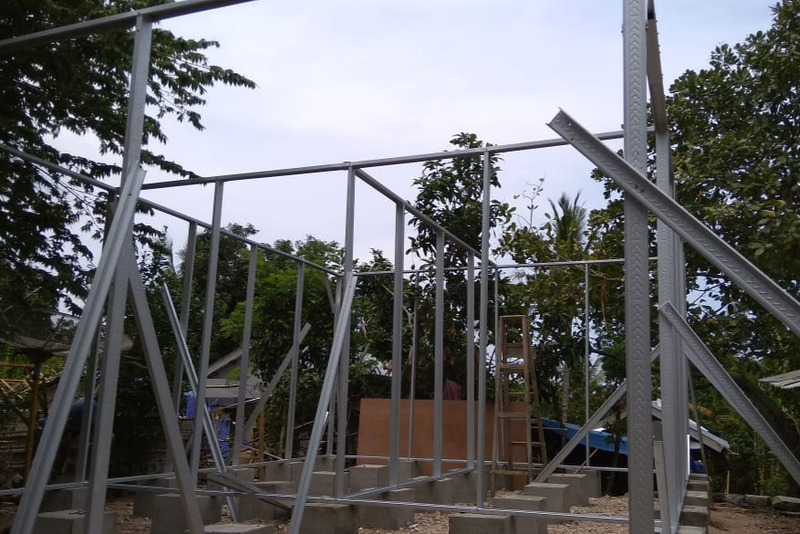 By now, we will start to build a provisional house to stay during rainny season. Later, we will see what can we do to improve the house and extend it depending on the funds. 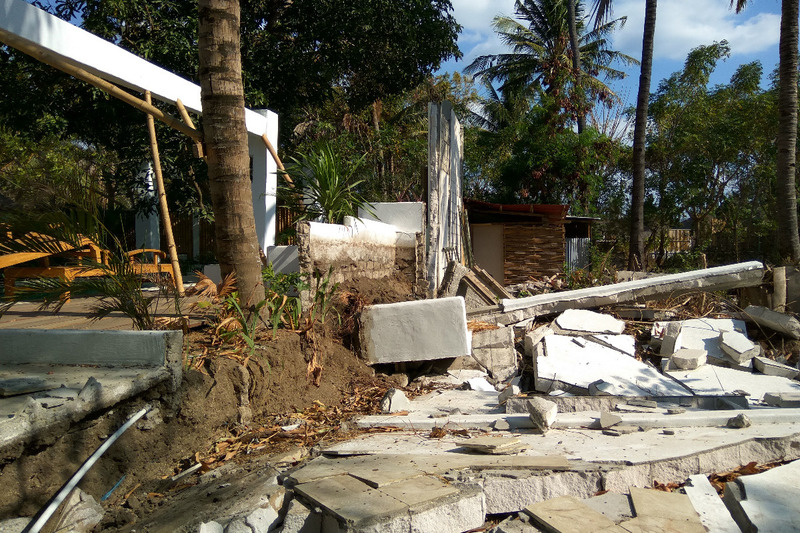 The funds received for rebuilding his house and repair the hotel are still not enough. Many people already helped with their donations. 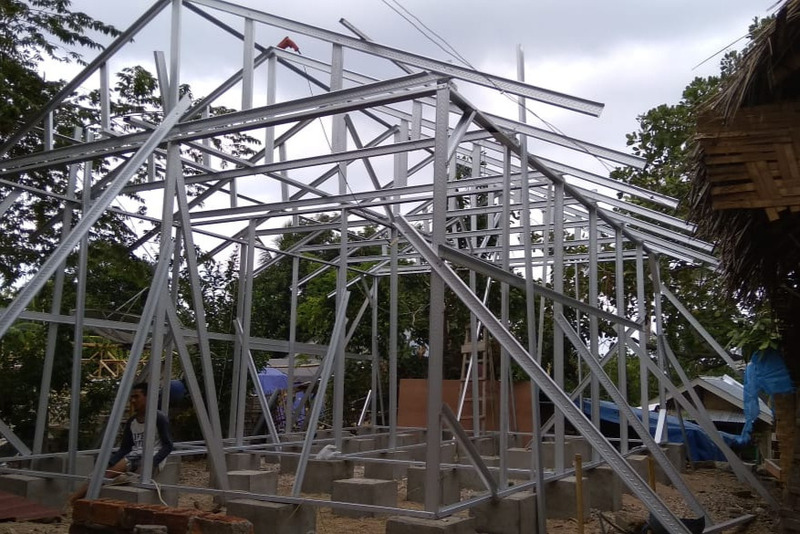 We still need much more to reach the cost of the project. But thanks to that donations, I could ensure the salary and jobs of all the staff even we dont have guests. With the funds we have, I think I can do it till end of October or maybe November. I arrived to Gili Air (Lombok) more than 3 years ago. After travel arround Asia I decided to stop somwhere to open my dreamed busines. 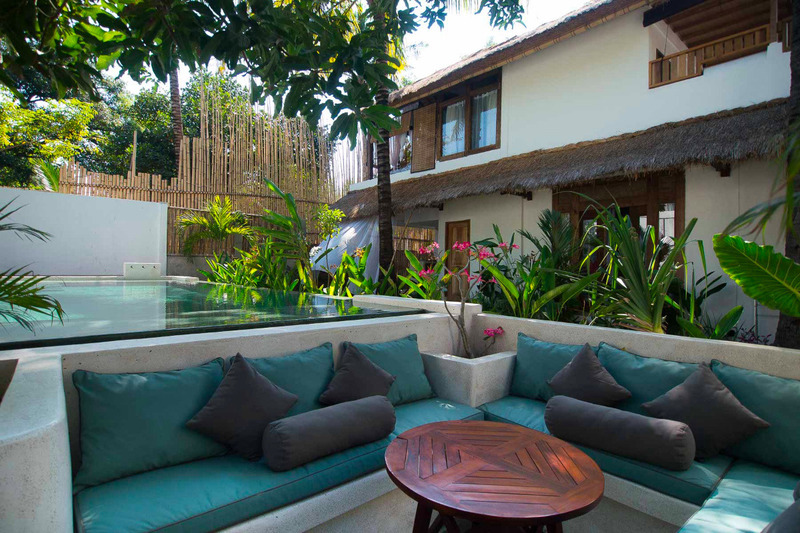 A small boutique hotel. The Mandana was a reality after 3 long and hard years of work. Found the land, negotiate the contracts and spend more than 2 years building and leading with workers and 6 different contractors... A truly nightmare which was going to finish just before the earthquake. But I did it! And I'm proud of that. 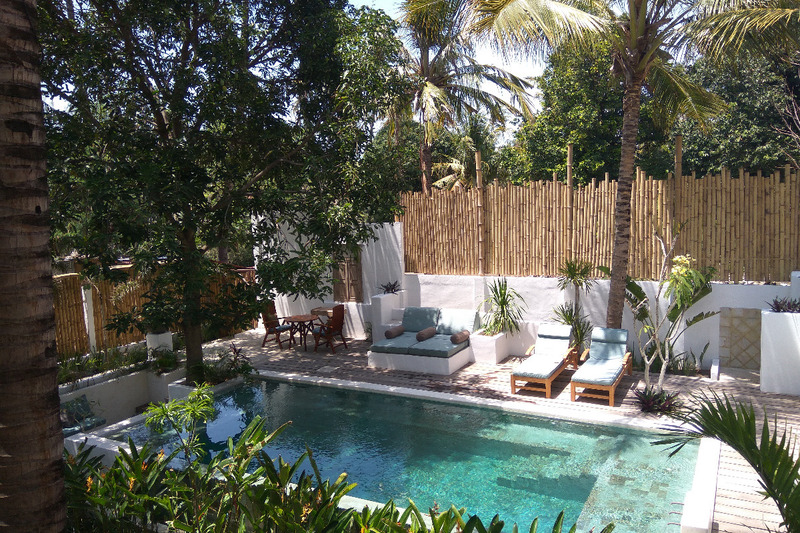 Imagine all you worked hard for so long time it's almost finished (we plan to open the 3rd and last room on 8th of august), and then, it disapears in few seconds and sends you almost to the start position again. So here I am! 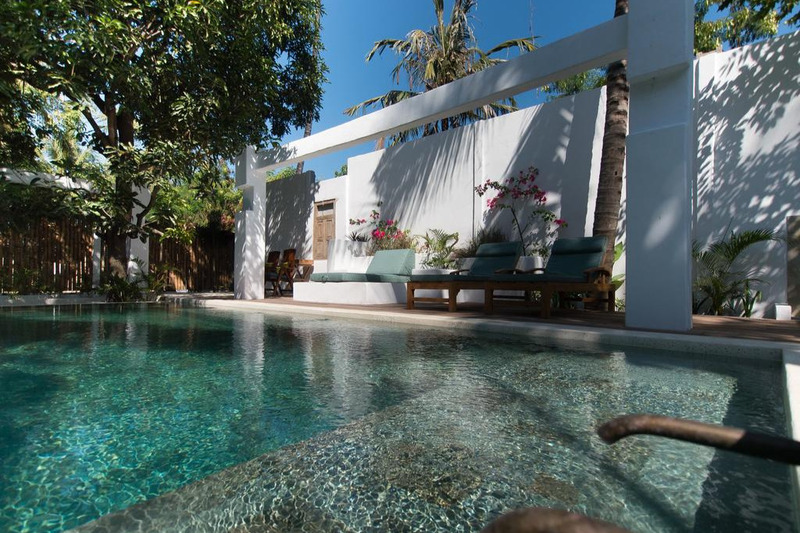 Ready to start again adn rebuild not only The Mandana Gili Air, but also my staff house in Lombok. 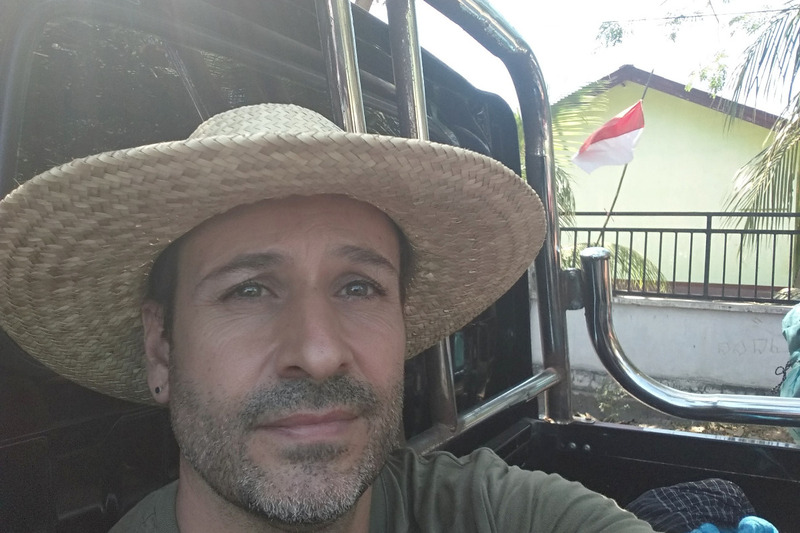 PS: This is me 2 days after the earthquake going in the pick up to Mataram in Lombok. Lo siento por la comunicación tan tardía. Los últimos meses han sido extremadamente complicados. Me gustaría informarte sobre la situación en The Mandana y la casa de mi staff, Sira en los que colaboraste pare su reconstrucción. - Construimos una nueva casa para la familia de Sira. (mi staff) Después de muchas dificultades cy sobre costes con los materiales y los trabajadores, por fin, ya está terminada. Justo a tiempo antes de que llegaran las grandes lluvias a Lombok. - También reconstruimos la zona de la piscina del hotel. 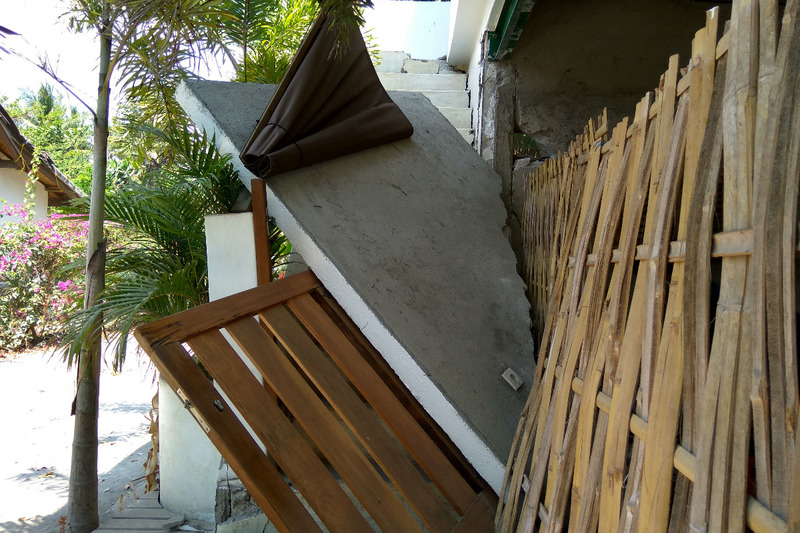 Tuvimos que eliminar muchas paredes y estructuras dañadas y reconstruirlas de una forma más ligera, para ahorrar materiales y evitar nuevos problemas. Por suerte, pudimos confirmar que la piscina no tenía daños graves y ya está operativa. - Hemos levantado una cocina provisional con paredes de bambú y tejado de plástico. Está en funcionamiento en el cuarto de bombas y filtros de la piscina (que se derrumbó debido al terremoto). Así que al menos, estamos listos para ofrecer el desayuno a nuestros huéspedes. - El dinero ha sido suficiente (por los pelos) para reconstruir la habitación del piso de arriba (la más dañada). Nuevas paredes, estructuras reforzadas y estructura de madera reparada y reforzada. Pudimos abrir esa habitación hace unos días. Estamos muy felices de haberlo hecho porque era la habitación que íbamos a abrir justo cuando el terremoto sucedió. Todavía nos queda arreglar el edificio de 2 pisos en la zona Este. El de la cocina, la cafetería y una habitación en la planta superior. Pero el dinero ser terminó y tenemos que esperar hasta tener nuevos ingresos de los huéspedes. Por desgracia, el tsunami en Sumatra (a 2000km de distancia de aquí), aparte de la desgracia producida en el lugar, también se ha cargado las reservas previstas para Navidad y año nuevo. Y va a ser más difícil de lo previsto. 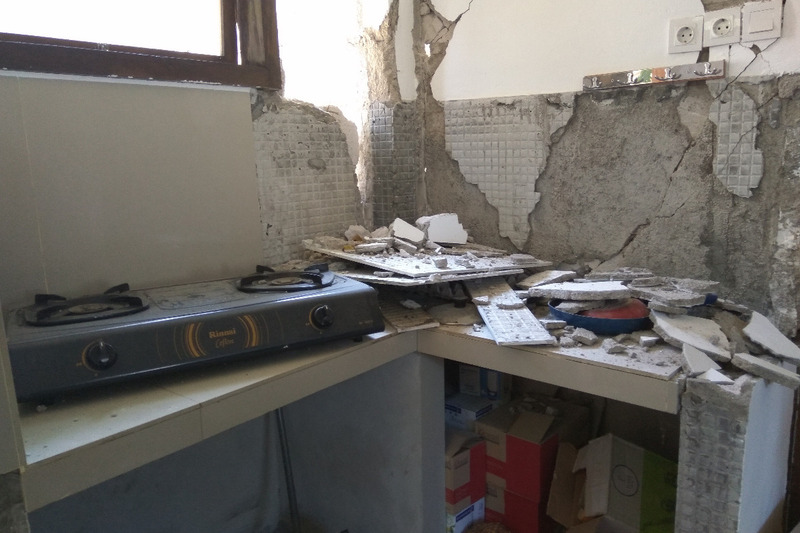 Mi personal y yo esperamos que podamos obtener los 2500 € que necesitamos para reforzar la estructura de ese edificio muy pronto y hacerlo seguro. En cualquier caso, gracias por tu apoyo. Nos has ayudado muchísimo. Estaremos siempre agradecidos por ello. ¡Te deseo todo lo mejor para este nuevo año 2019! Sorry for late communication. Last months had been extremely complicated and busy. I would like to update you about the situation at The Mandana and Sira's house. 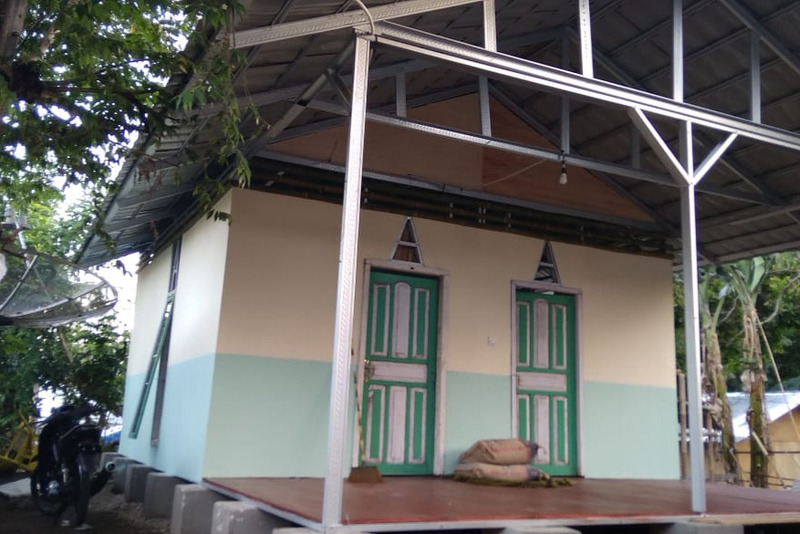 - We built a new house for Sira's family. (my staff) After many difficulties with the materials and workers, it is already finished. Just in time before big rains arrive to Lombok. 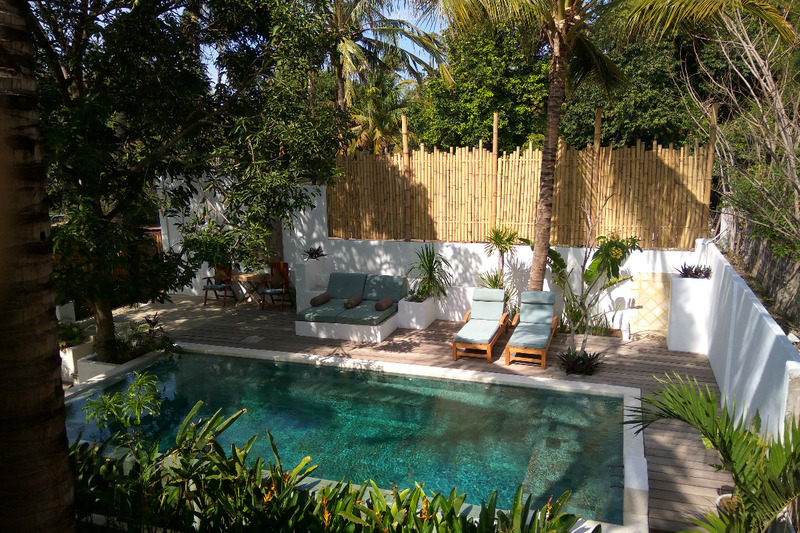 - We rebuilt the pool area. 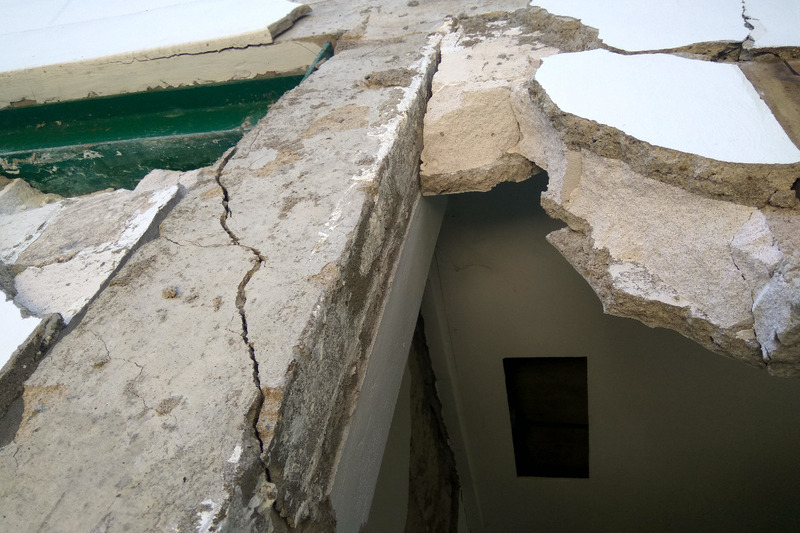 We had to remove many damaged walls and structures and rebuild them in a light way to save materials and prevent new problems. 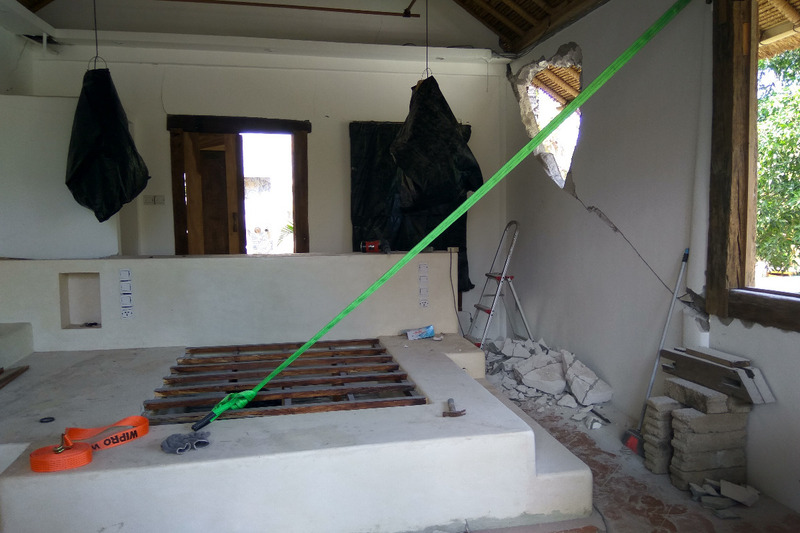 - A provisional kitchen with bamboo walls is operative in the hotel in the pool pump room (wich collapsed due the earthquake). So at least we are ready to offer breakfast to our guests. - We could rebuild the room upstair (the most damaged). 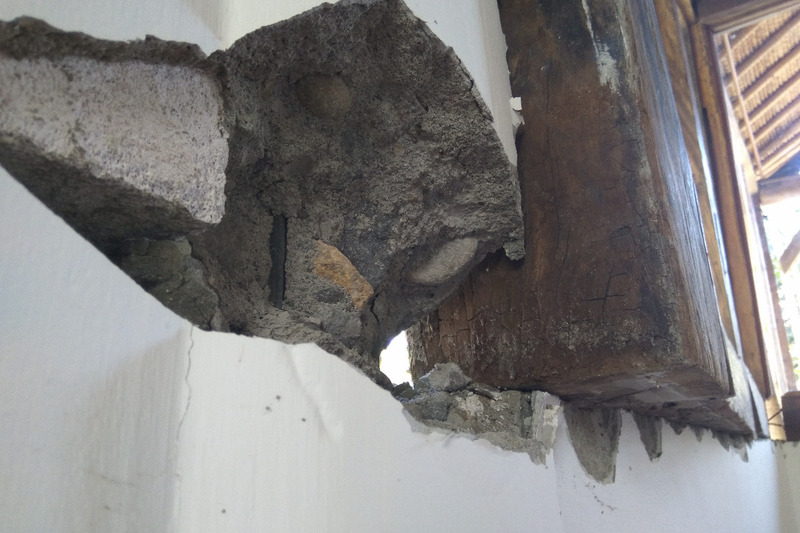 New walls, reinforced structures and fixed wood timber damages. We could open that room few days ago. We are very happy to do it because it was going to be open just when earthquakes happened. We still have to fix the 2 storey building in the east dise. The one with the kitchen, café and one room upstairs. But the money already finished and we have to wait till get it. My staff and I hope we can get the 2500€ we need to reinforce the structure of that building very soon and make it safe. In any case, thank you for your support and donations. It helped us a lot. We will be always thank full for it. Since all this happened there is no day we stop to archieve our target. Thanks to you all, I start to see the product of your donations and support. 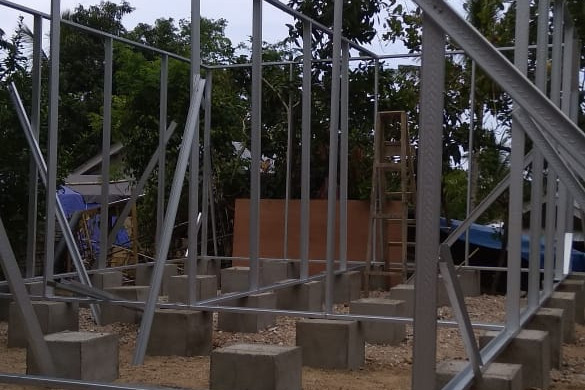 2 days ago, we could find the workers to build the new Sira's house. 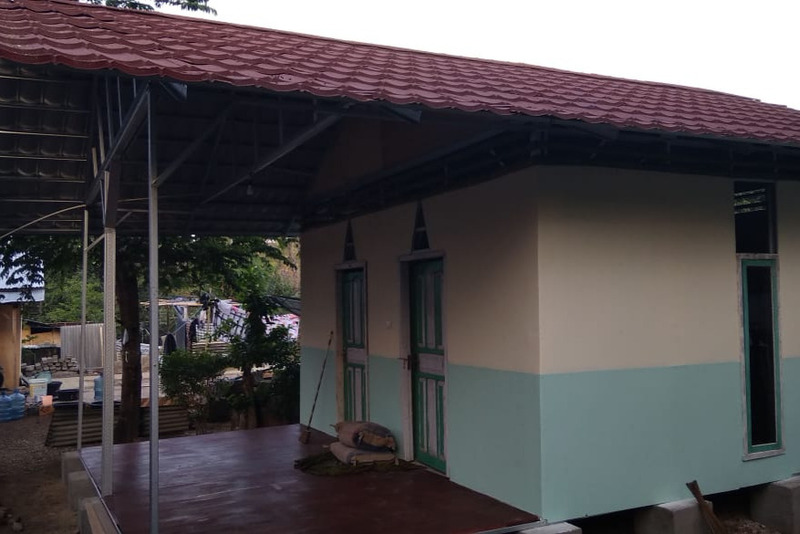 2 room house with good materials just in time before rainny seasson arrives. Works have to be finished next week. Thank you again!! Sira's family and I are grateful for your help. 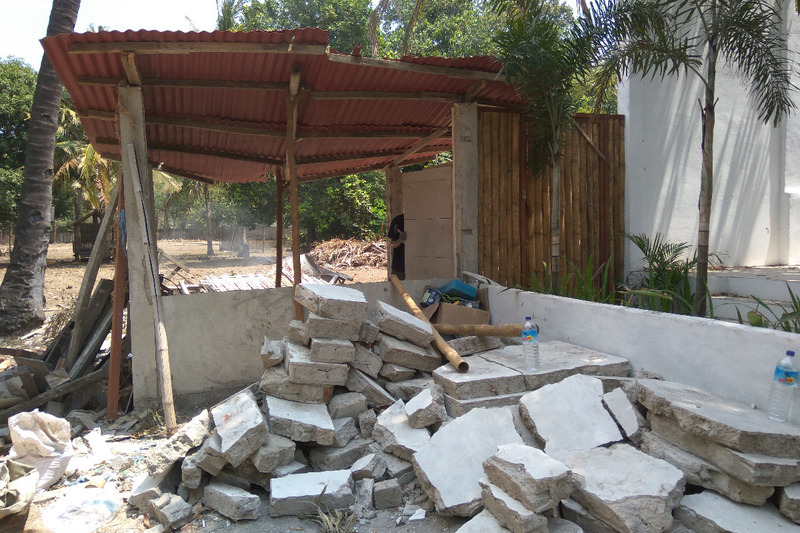 We started to demolish the affected walls with the wonderful help of the hotel staff because of the impossibility (for now) of finding workers to do it. It is very painful to have to destroy what we have taken 2 years to build. But the good attitude and help of the staff is still very important to recover. We have all accepted that now we have to do anything to move forward. We do not give up! Empezamos a demoler las paredes afectadas con ayuda del personal del hotel por la imposibilidad (por ahora) de encontrar obreros para hacerlo. Es muy doloroso tener que destruir aquello que hemos tardado 2 años en construir. Pero la buena actitud y ayuda del personal está siendo muy importante para recuperarnos. Todos hemos aceptado que ahora toca hacer cualquier cosa para seguir adelante. No nos rendimos! Gracias a todos vosotros por vuestra ayuda!